This interview was conducted right after the symposium on “Is the Peace Constitution Outdated? Japan Considers Rearmament” at Asia Society in New York, which was held on April 25th, 2007. The symposium was organized as a platform event of an art exhibition “Into the Atomic Sunshine” which I curated. This interview was conducted by Takeshi Ito, chief editor of GENERATION TIMES, and it lasted 5 hours. This document became of historical significance following the passing of Beate on December 30, 2012. Shortly after Beate passed away, there were many requests for the usage of her photos from those who had found them on my website. I became very busy seeking permission from her family and responding to each of the requests. During this time, I started to recall that Beate asked me to preserve all the important photographic data and that I had also made captions for these photos together with Beate. 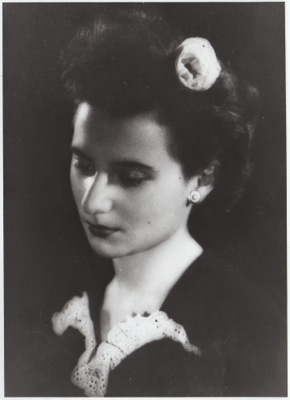 Being aware that her life would not last long, Beate was anxiously trying to leave as many pieces and recordings of her life as was possible in order to carry the message of Article 9 into the future. When we had an interview with Beate, Mr. Ito was 31 years old, and I was only 27 years old. When we re-read the interview, after more than six years have passed, Mr. Ito and I both realized how immature we were back then. We also realized the substantial and historical value of the interview. We decided that this interview should be archived as a historical document, and that we would need to do it now, at this moment in time when the revision of the Japanese Constitution has become very imminent. Therefore, here I would like to open to the public the following: the full transcript of Beate’s long interview; the MP3 sound source; PDF files of the full text of the platform symposium at the Asia Society; and a text contributed to the exhibition catalogue by Takeshi Ito, the interviewer of “A long interview with Beate”. Fortunately I was given permission from her family to use the photos that are related to Beate, therefore I would like to open these high-resolution photo data to the public, together with the captions Beate had created. If you have a need for them for educational purposes, such as research and publication, please feel free to download and use them. The reason why I organized the Atomic Sunshine exhibition is that the 1st Abe Cabinet pledged to amend the constitution, and the poll showed that the number of supporters for the revision of the constitution became higher than for protection of the current constitution. Please listen to the voice of Beate now, when the memories of war are fading, and the footsteps of the constitution revisionists are getting closer and closer. I hope it will become an opportunity for everyone to think about the constitution of Japan and its significance in promoting the world peace. Go back to the site "Into the Atomic Sunshine – Post-War Art under Japanese Peace Constitution Article 9"